The Supreme Court’s 2014 Alice decision represented a major shakeup at the USPTO. Most can agree that at the very least, Alice created a hurdle to the patent-eligibility of certain computer-implemented inventions. Applying the “Mayo framework,” the Supreme Court elucidated a two-step test: first, whether the patent claim contains an abstract idea, such as an algorithm, method of computation, or other general principle. Second, if the claim does contain an abstract idea, whether the claim adds “something extra” that embodies an “inventive concept.” If the answer is yes, the claim is patent-eligible. Five years later, where does the USPTO stand on Alice? Director Iacanu is making an effort to provide clear instructions to Examiners. In so doing, the USPTO has recently issued new examination guidelines for patent subject matter eligibility, which are open for public comment until March 8, 2019. The new examination guidelines essentially boil down post-Alice Federal Circuit case law for Examiners—so, even if the guidelines are not adopted by the USPTO, they serve as a good summary of the case law to date. The second Alice question is a bit more complex and involves itself a two-step analysis. The first step (step “2A”) is determining whether the claim is “directed to” a judicial exception, which can be either an abstract idea as determined from step one, a law of nature, or a natural phenomenon. If so, in step “2B” a claim including a judicial exception is evaluated for patent eligibility in one of two ways. One can imagine how the second Alice step gives Examiners a lot of leeway. In an effort to make subject matter eligibility analysis more consistent across Examiners, the new guidelines explain two ways to look at the question (summarized in the chart). First, a claim with a judicial exception is patent eligible (e.g., is not “directed to” the judicial exception) if the judicial exception is “integrated into a practical application.” Basically, the analysis boils down to: is the judicial exception the main point of the claim, or is it ancillary to a “practical application,” which is the main point of the claim? To that end, one signpost of “integration” is the presence of other elements in the claim beyond the judicial exception(s). This “integration” analysis is new to the 2019 proposed guidelines. 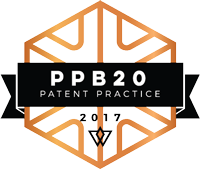 Second, a claim including a judicial exception can be patent eligible if it recites “significantly more” than the recited judicial exception. This analysis boils down to whether there is some unconventionality or inventiveness in the combination of claimed features. Of course, it remains to be seen whether the USPTO will adopt this version of the Alice guidelines and how Examiners will apply it. Still, the guidelines serve as a good synopsis of the case law on the Alice question to date.